View the Labels/SDS information for Demon WP WSP Insecticide. 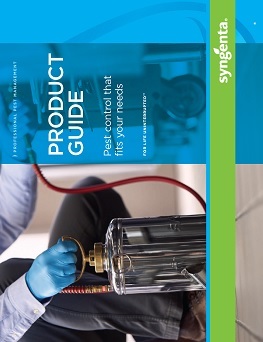 Control that makes pests easy targets. Demon® WP insecticide features an easy-to-use wettable powder formulation and contains cypermethrin, which is known for its strength, speed and staying power when controlling cockroaches, spiders, scorpions and other pests. 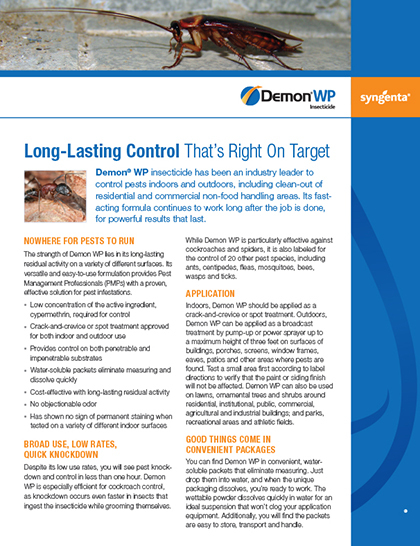 Receive yearlong rebates on purchases of Demon WP WSP with the PestPartners℠ 365 Program. Learn more about Demon WP-WSP insecticide, a wettable powder with a fast-acting formula to control pests both indoors and outdoors.